The first six Australian players to take part in Hampshire's International Cricket Academy have been selected. New South Wales batsman Scott Henry, South Australia batsman Travis Head, Western Australia batsman William Bosisto and Victoria batsman Alex Keath are among those chosen. WA spinners Ashton Turner and Ashton Agar will also take part. Of these, Keath, Henry and Head played in Australia's flagship Twenty20 competition, the Big Bash League. 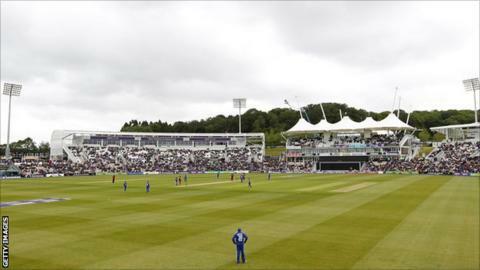 "They've all be hand-picked by Cricket Australia to represent the next wave of high potential Australian internationals," Hampshire cricket chairman Rod Bransgrove told BBC Radio Solent. "And if you look at some of the names you will see there are some that are already starting to be recognised in state cricket and big bash cricket. "They are players who have already shown their credentials and who are probably going to be the next Australia A's and hopefully the next Australian internationals, so I think it is quite a high-powered group." Agar is also currently in India with the Australia Test squad and played in the warm-up match against an Indian Board President's XI. The six players will each be allocated a club via a draw, to take place at The Ageas Bowl on Friday, 15 February. The participating clubs are Bournemouth CC, Lymington CC, Totton & Eling CC and Ventnor CC (all from the Southern Electric Premier League), Henley CC (Thames Valley Premier League) and Chichester Priory Park CC (Sussex Cricket League).